So much organizational knowledge and brotherhood can be lost each year as senior classes graduate, but this event helps the Alpha build brotherhood and keep that knowledge in the Alpha by having seniors pair off with freshmen new members or Brothers. This event was started by Alpha Psi Delta at University of Colorado. Tips to Remember: This is not just any ordinary meal. It has a purpose. Seniors should be prepped on topics of conversation to help facilitate the event. Conversation topics are listed below. Pair seniors and freshmen to discuss these topics over a meal at the Lodge or a restaurant. This event makes a great way to celebrate seniors before graduation or cap off a successful new member education program and prepare the pledge class for initiation. If you have more freshmen than seniors, consider asking alumni board member and area alumni to participate. Select a date and let all seniors and/or alumni know. 1 month out- Inform new members and sell them on how great this event is. Purchase any decorations or gifts. Begin collecting senior stories from graduating seniors. 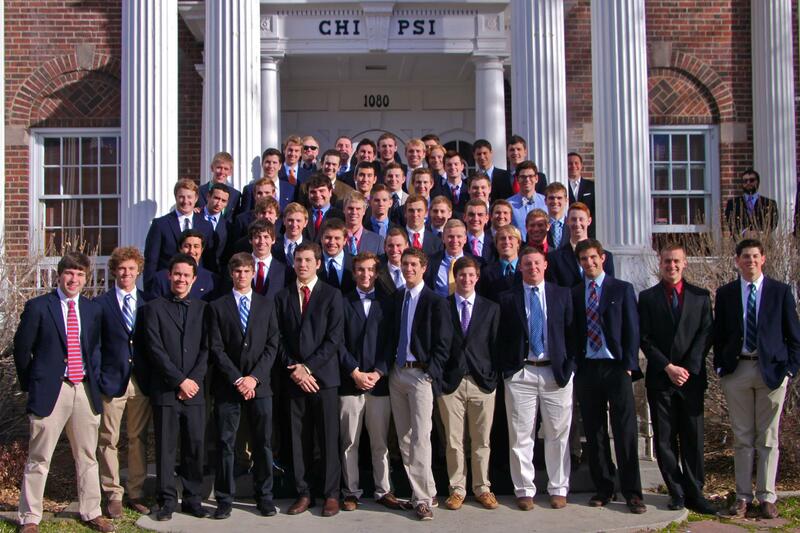 These can be shared with freshmen to give them something to keep and guide their Chi Psi experience. Purchase food if having Brothers prepare it. Remind all seniors/alumni and freshmen. Immediately following event – clean up and ask for feedback on the event for future planning. Total membership including information on each Brother. Every Brother should know every other Brother. Involve upperclassmen. Involve alumni. Look for something that no other fraternity focuses on. Be a family with mutual respect and concern for others. Always ask alumni and upperclassmen if they think that something is the “right way” to do something. Is it the Chi Psi Way? If you are not sure, always ask for permission first. The strongest leaders and organizations seek advice and communicate their vision and reasoning. Click here to add one of your Alpha's most successful Program for Excellence events. Having trouble figuring out how to incorporate Program for Excellence events into your Alpha's Calendar? Click here to see a sample calendar for an entire year.